I considered titling this 'Confessions of a multitasker'; however, that would assume I was actually finishing things. Rather I feel like I'm flittering from one project to another, making a little progress, but not completing anything! 1. I'm working on a baby quilt for my greatgranddaughter due in April. (Yes, I'm only 42 so there are some unusual family dynamics there.) I'm using Darling Little Dickens by Lydia Nelson for my fabric. 2. I'm going to give my quilt bee some lessons on FMQ (free motion quilting) starting in September. 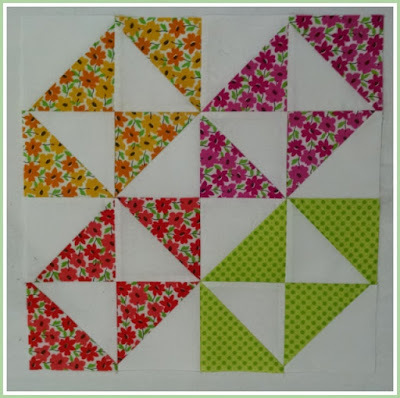 To that end we're all going to make the same quilt top and I'll show them how to quilt each block differently. I'm actually making 2 of the same quilt. One as a sample that I'll have quilted ahead of time and the second that I'll quilt while I'm teaching. We're going to donate them to charity once they're done. 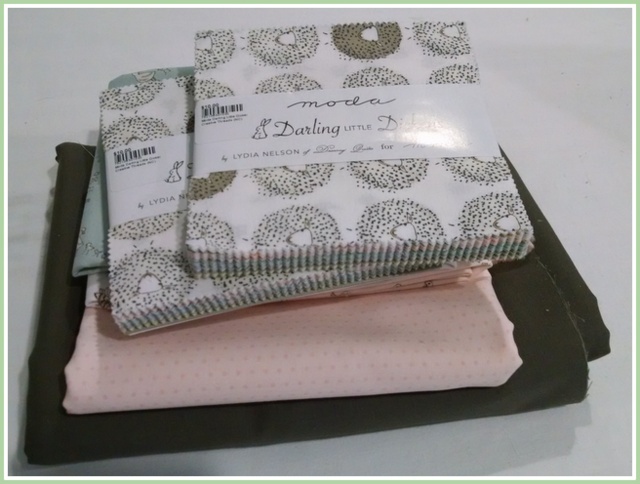 The fabric is Mojito by Another Point of View. I've finished several of the blocks and already have the rest of both quilts cut out. This is just one of the blocks. 3. 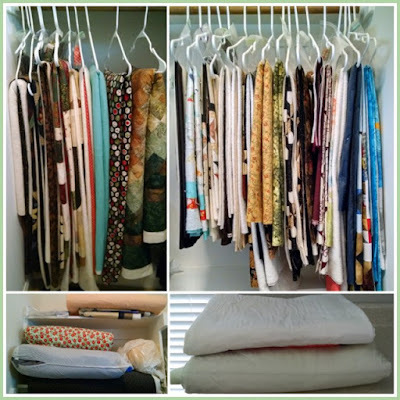 This and the next quilt are actually the same quilt done in different fabrics. 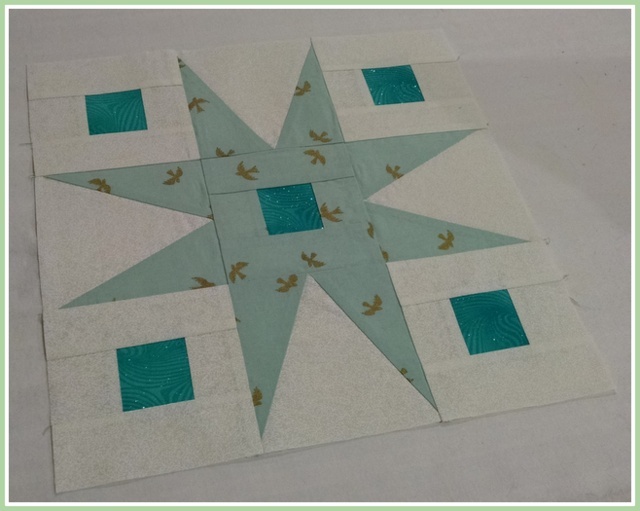 The quilt is Asteria by Needles in a Hayes Stack. This first quilt is done in a variety of blue batiks. It's a king size quilt that I will be keeping. I've finished 3 of the 8 blocks and have the rest of the blocks cut out. 5. And I'm working on a pattern for my dog quilt. I've had a lot of requests for this one over the years so I've finally started on it. I'm actually remaking the quilt in order to make the pattern as accurate as possible. So yep, I'm a flitter. I have quilter's ADD. I only wish I had ADHD. What I wouldn't give for the stamina, energy and health I enjoyed 20 years go! Maybe then I'd actually finish more of what I started. But even if I'm not completing much, I am really enjoying myself working on these projects. And don't they say, "It's the journey, not the destination". Wow! That is an interesting family dynamic! I have 8 grand kids and 5 of them are adults (25 - 19) and not a single one is married or do they have any kids! I may never see great grand kids! I usually have to finish a quilt before starting something else. That said, I have at least 5 in progress. Three are within completion range and one is just started but shoved into the back of the stash to be passed over for a lot longer. We did Farm Girl as a BOM at the local store. We finished up last spring, but I was busy helping a friend down size and move. That took up 6 months of time and then I was so tired of fabric, kits, patterns and books that I could not get my head back into sewing. 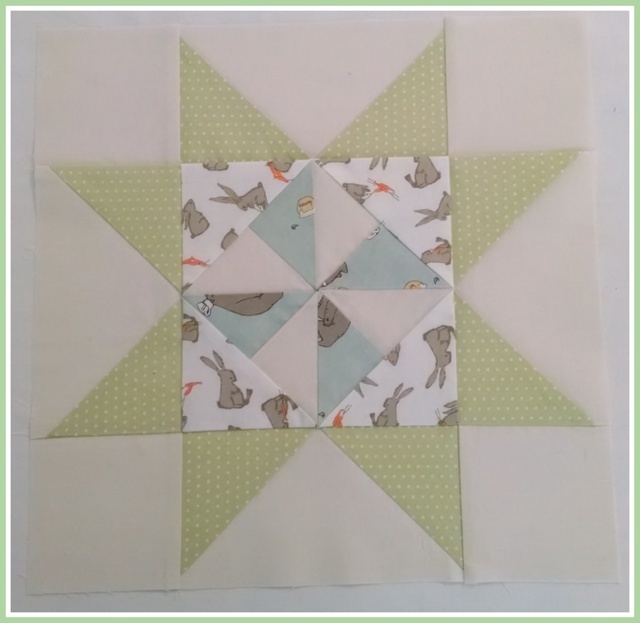 I love miniature quilts, so every month of Farm Girl, I made mimi blocks. We had a 12 inch and a two 6 inch blocks every month, so I turned them into 6 and 3 inch blocks. 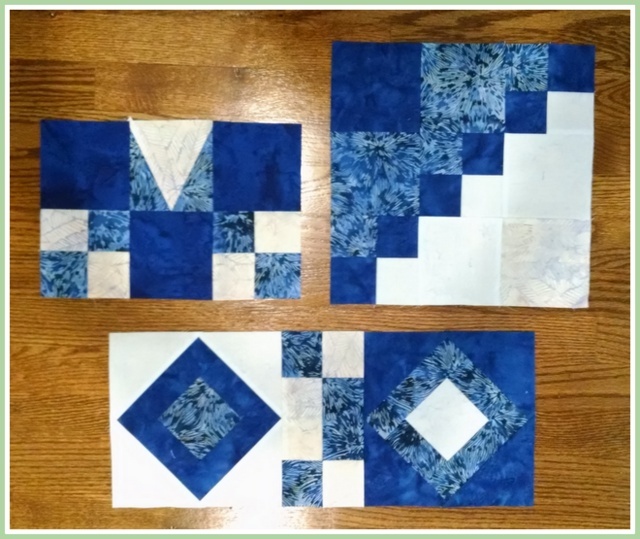 I had to draft paper piecing for the 3 inch blocks! This week I made 8 more blocks and today I am going to lay out both sizes and see how they will for together. THen I have a Jelly Roll Race quilt that my group did in January that I am prepping the back for so My husband can get it on the frame to quilt. Yes, he is my quilter. The 4th started project is a Texas quilt. I have two or three blocks left on that one. I will have to hire the quilting out on this one because id will not fit our frame. As for that 5th one, that is shoved into the depths of my sewing room and mind, it is a watercolor quilt with cats appliqued on it. I really thought I wanted to do it, until I saw how tiny the cats faces and features were! WOW~ I just wrote a complete blog post in your comments. I hope your health is better and you are able to get dome quality quilting time!